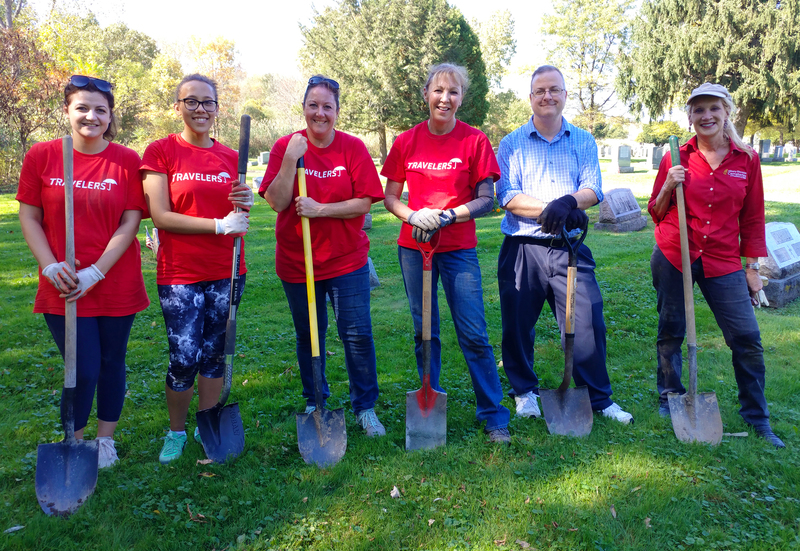 Our first four Volunteer Days for the Veterans Memorial Restoration Project at St. Patrick’s Cemetery, Watervliet were a great success! 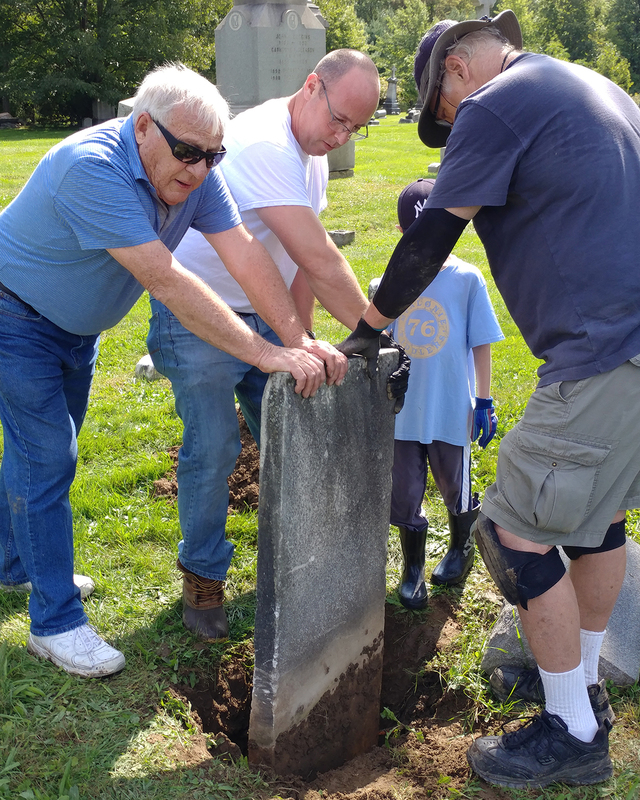 Men, women and children volunteered and dug out, cleaned, repaired, reset, and recorded gravestones marking the graves of veterans, many stones dating from the 1860s to early 1900s. 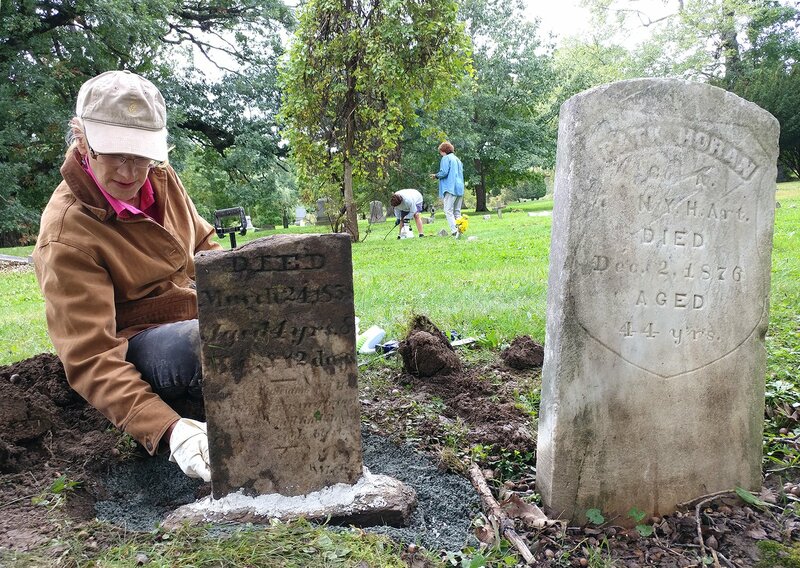 Over 50 gravestones have been identified, cleaned and repaired for men (and one Army Corp Nurse WWII) serving in the Civil War, Spanish American War, WWI and WWII. 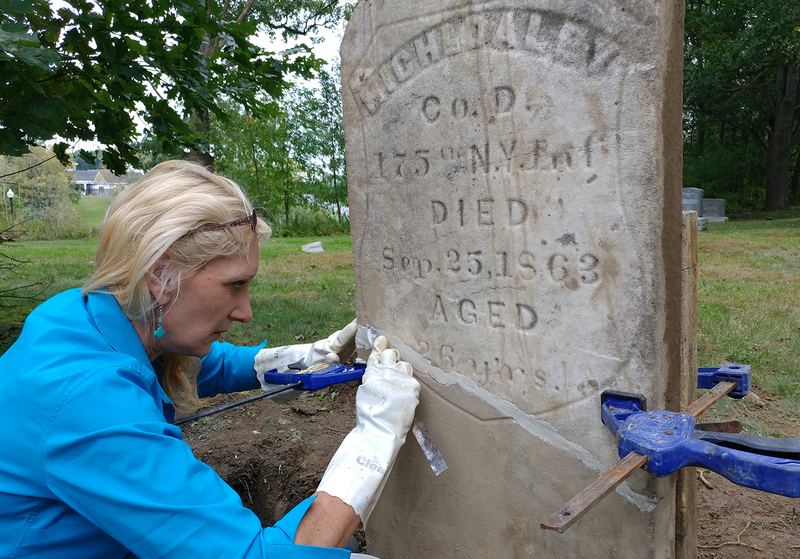 The hardest part is digging out the five to six foot tall marble headstones for Civil War soldiers. They are often sunk low in the ground or leaning so much they are vulnerable to breakage. Resetting them helps preserve them for many more decades. There are hundreds of veterans’ graves in need of attention making it necessary to keep the work going! Volunteers are a integral part of this projects continued success. Please contact us to learn how you or your group can volunteer or assist! St. Patrick’s Cemetery is among many Catholic cemeteries that have served the Church for decades. Please be part of this project – a corporal work of mercy – and pay our veterans their due respect. None of our heroes should rest in graves that are not properly memorialized. 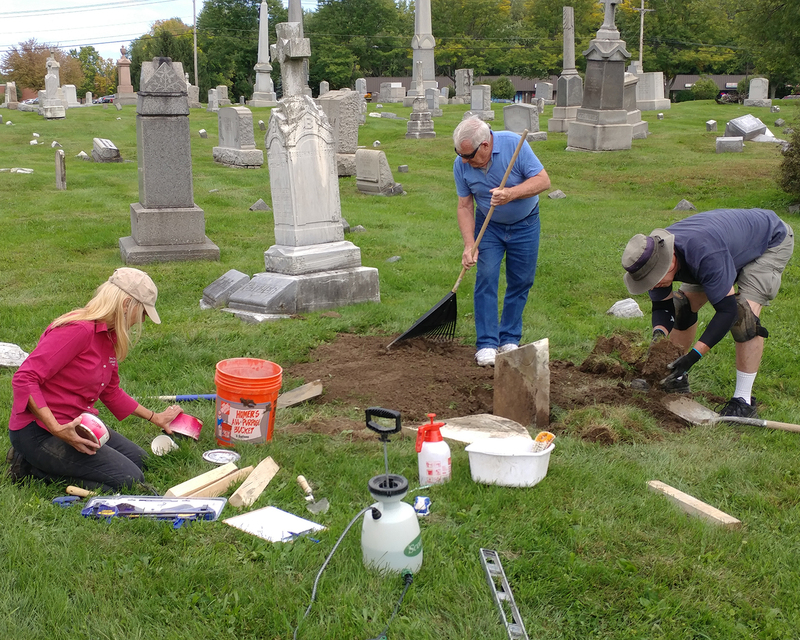 In partnership with the Watervliet Historical Society, Albany Diocesan Cemeteries began a large project in the Spring of 2018, mapping, researching, excavating, restoring and possibly replacing veterans’ gravestones from the ground where they have been broken and/or buried for decades. 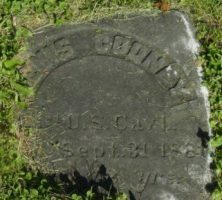 St. Patrick’s Cemetery has burials dating back to the early 1830s. 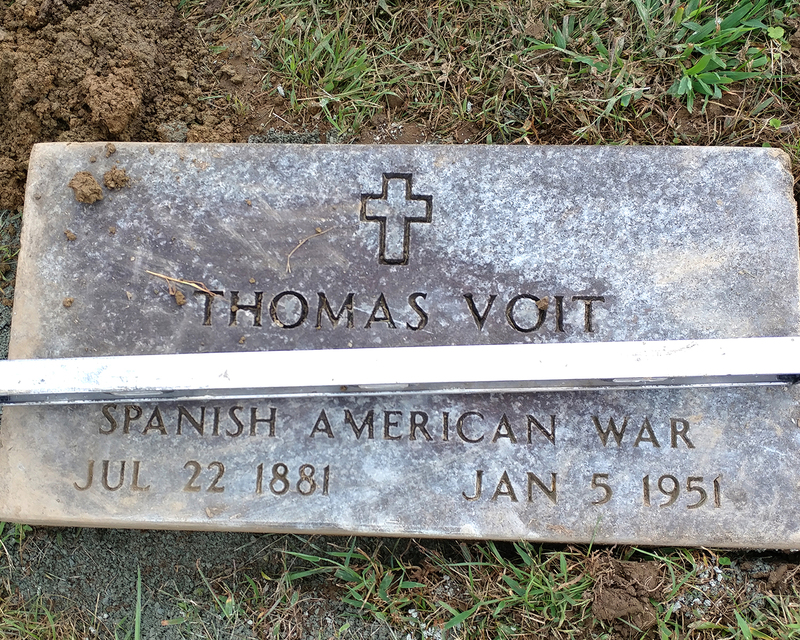 Before the start of the project, it was believed that there at least 175 veteran graves from the Civil War to WWII. During Phase 1, we identified over 1,000 veteran graves, most from WWII, and have recorded their locations into a database. This project has grown to be much larger than anticipated! 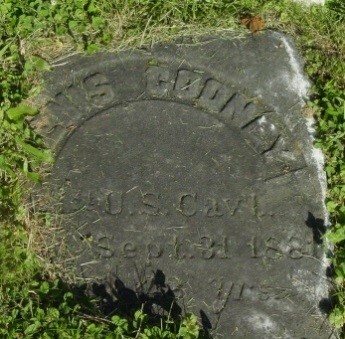 Gravesites from the early 19th century may include soldiers from the Revolutionary War, however we have yet to identify them. 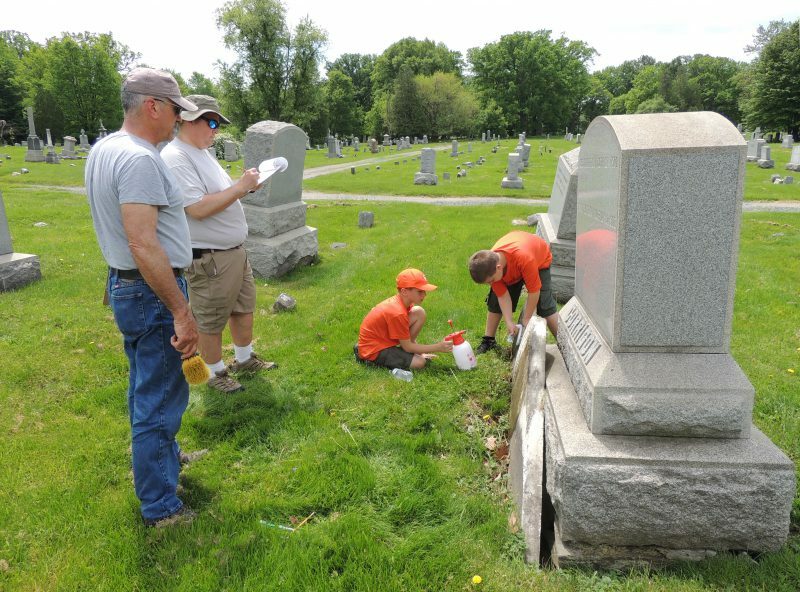 Boy Scout Troop 1279 began mapping gravestones Memorial Day weekend, 2018. 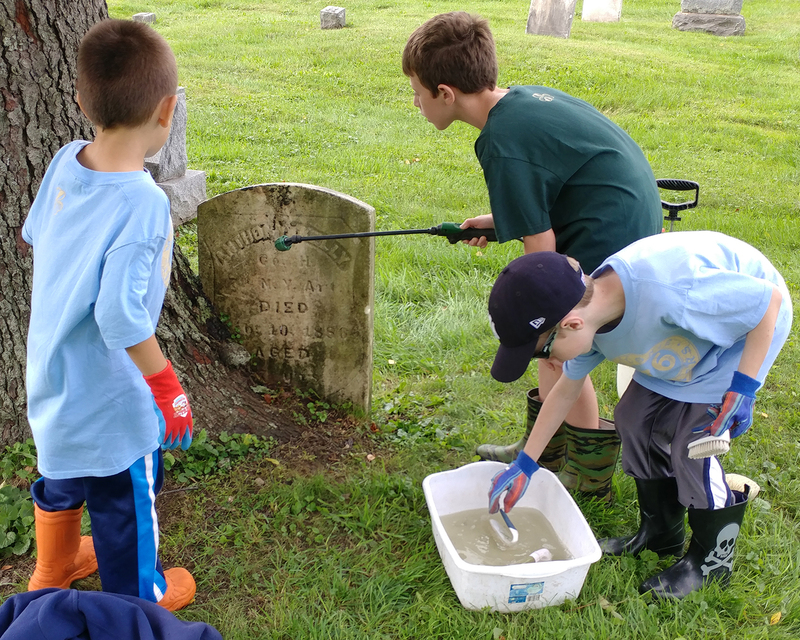 Phase I: A comprehensive survey of the St. Patrick’s Cemetery began Memorial Day weekend, 2018 with assistance from local Boy Scout Troop # 1279 as part of a service project. 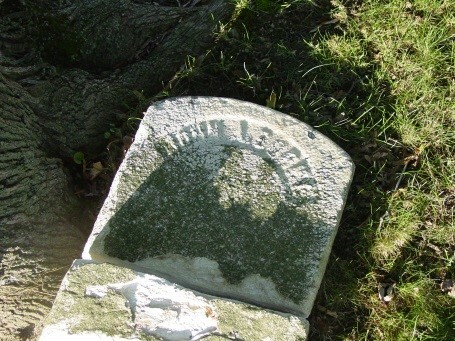 The Scouts documented graves with GPS coordinates for mapping purposes. The new map will serve as a guideline for stone assessment and documentation including photo documentation of the gravesites. At the beginning of the project, 175 veteran graves were known or suspected. Two months into the project, and near the completion of Phase 1, we have identified and mapped over 1,000 graves! 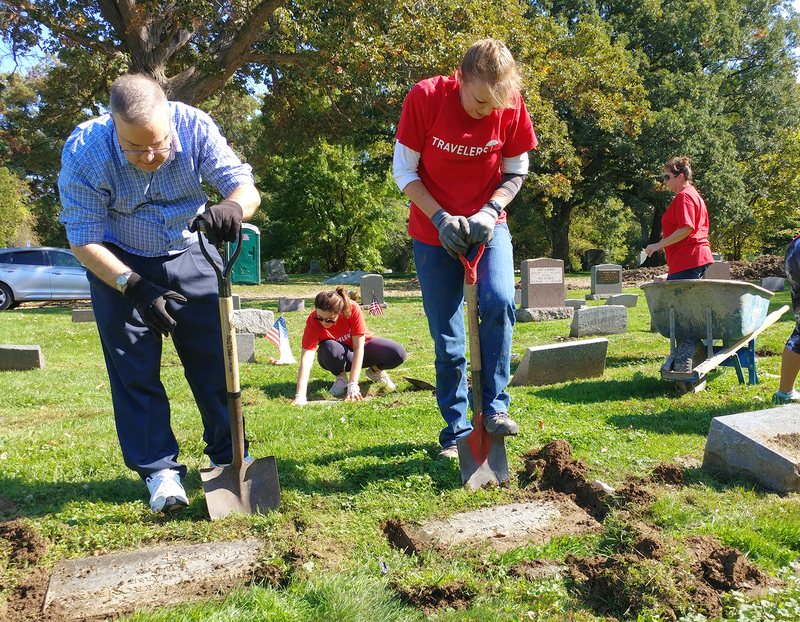 Phase II: This Fall our team of cemetery staff, restoration professionals and trained volunteers will then free many stones and bases that have been covered in part or whole by the ground, clean the stones and make necessary repairs to as many veteran graves as possible. Over 800 (80%) of the monuments and markers require some level of restoration. Repairs will include resetting stones on new foundations and bases with specially prepared mortars and epoxies appropriate for the type of stone. The graves will be leveled with topsoil and seeded. Each stone will be tended to according to its condition and all efforts will be made to restore the original gravestones and preserve them. 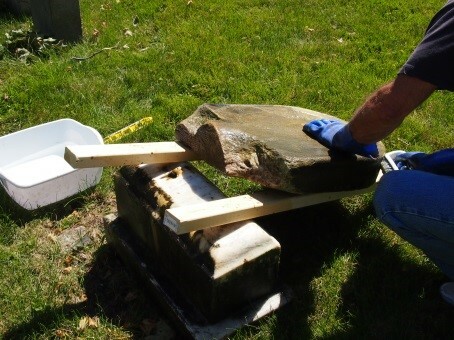 In the case where original gravestones marking veterans’ graves are no longer legible or are broken and deteriorated beyond repair, Albany Diocesan Cemeteries will submit applications to the Veterans Memorial Department with supporting service records to obtain and install replacement stones. Phase III: A pictorial narrative and final report will be prepared by the cemetery’s historian that will include a detailed spreadsheet of all veterans’ graves identified by name of the deceased, era of service, branch, regiment/unit/company and an account of what repairs were made or date the stone was replaced. A pictorial narrative of the project (before and after pictures) will be given to the Watervliet Historical Society’s museum for public viewing. View more photos of the project on our Facebook page. 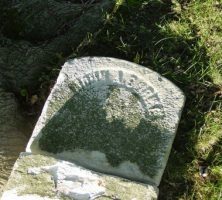 The importance of this project is evidenced by the collection of veterans’ gravestones in St. Patrick’s Cemetery that are illegible or barely legible because of age and exposure to the elements. It was reinforced as we discovered and identified in Phase 1 nearly 4 times the number of known or suspected veteran graves! Albany Diocesan Cemeteries takes our commitment to uphold and honor our veterans service to heart and hold true to that promise by doing what we can to restore as many of the memorials of these long deceased veterans as the project will allow. The outcome of this project will be hundreds of fully restored gravesites in St. Patrick’s Cemetery. Newly repaired stones or replacement stones will serve as proper memorials to soldiers and sailors who served our country from as long ago as the Civil War (and perhaps the Revolutionary War with survey results pending). 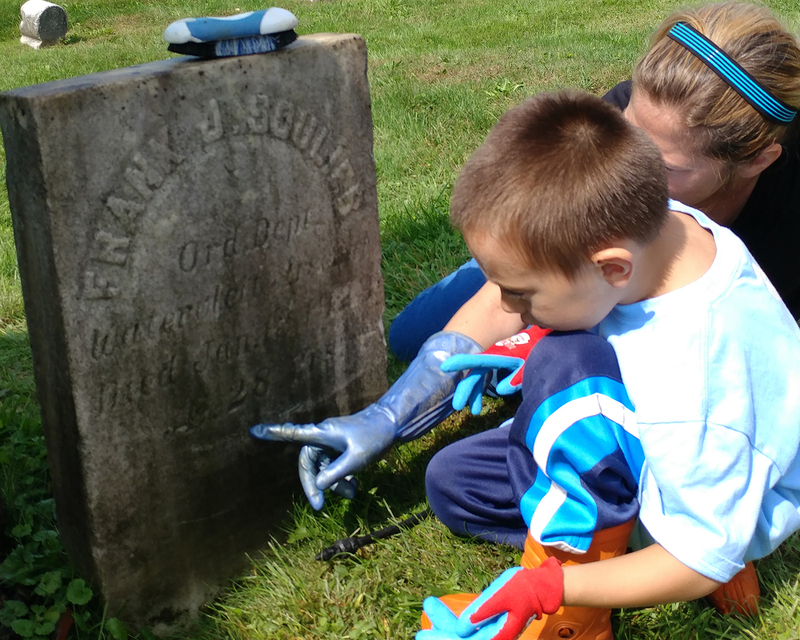 Along with our dedicated staff and individual volunteers, other community partners include Boy Scout Troop # 1279, Grave Stone Matters Professional Restoration Services, Travelers Insurance, and Old Friends Genealogy Research Services. 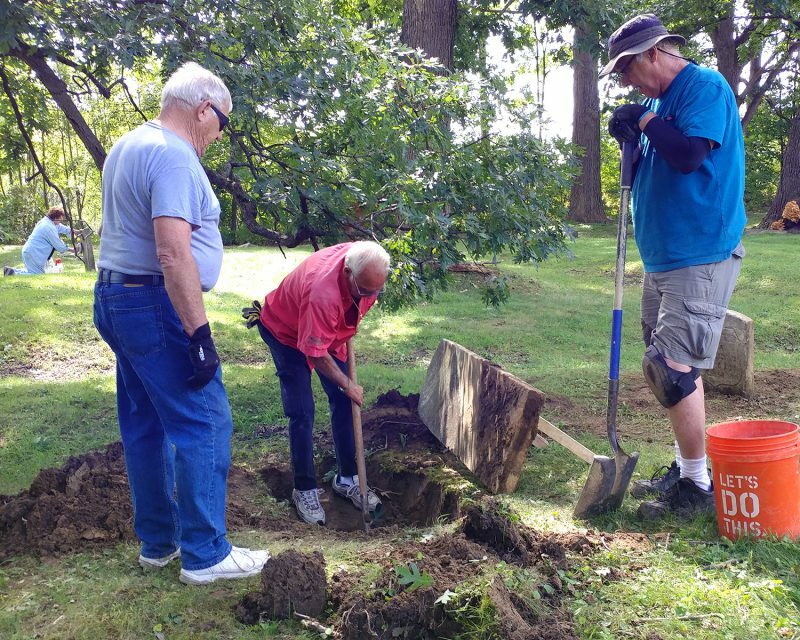 Would you like to donate to the St. Patrick’s Cemetery Veterans Memorial Project? As noted above, this project grew in scope from an anticipated 175 gravestone & markers to over 1,000 in need of restoration! Donations are greatly appreciated. 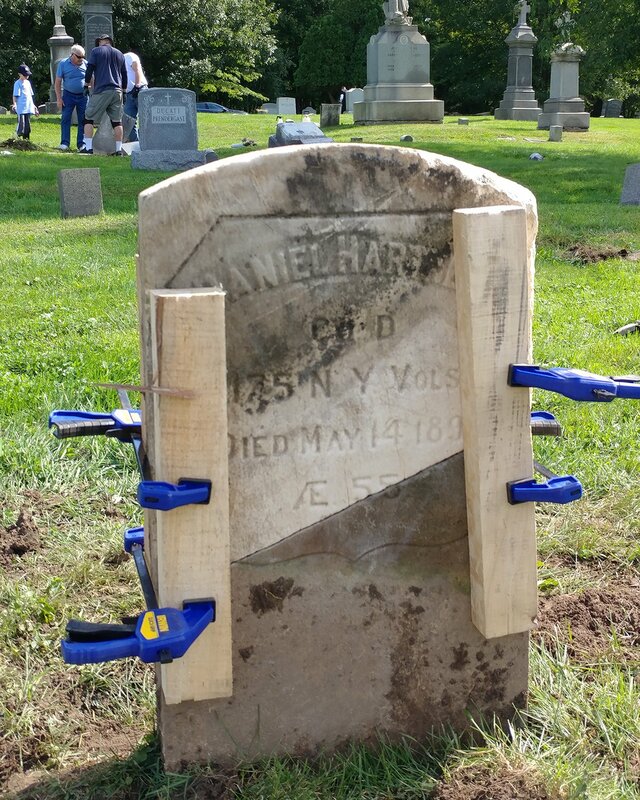 One hundred percent of donated funds will be used to restore gravestones marking the graves of veterans from the Civil War era to Vietnam as part of this project. You can even choose a veteran, or make a donation in memory of a loved one. Click here to download or print a Donation form. 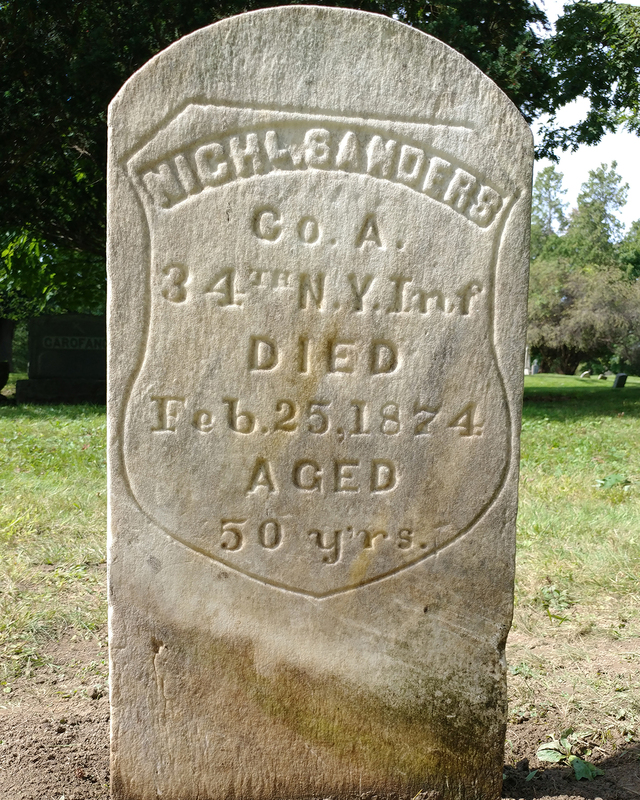 This project is funded in part by Albany Diocesan Cemeteries; General Peter Gansevoort Chapter- National Society Daughters of the American Revolution; Trustco Bank; D/2 Biological Solutions; Merendino Cemetery Care; Law Offices of Timothy J. O’Connor; Sons of Union Civil War Vets; 125th Regement, NY; Troy Irish Genealogy Society; the Golub Foundation and individual private donations. This project is rooted in patriotism and a deep love for country and expresses our reverence for those who fought and died for our freedom. It is also an educational opportunity for the Boy Scout Troop #1279 as they learn survey and mapping techniques, and for our volunteers that will work under the guidance of professional gravestone restorers. 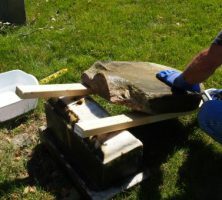 Volunteers will learn how to clean and reset stones using best practices. These are examples of stones for veterans needing repair or replacement as in the case of the stone on the right. The stone in the middle is actually five feet tall. It is broken and the bottom half is buried under the sod. 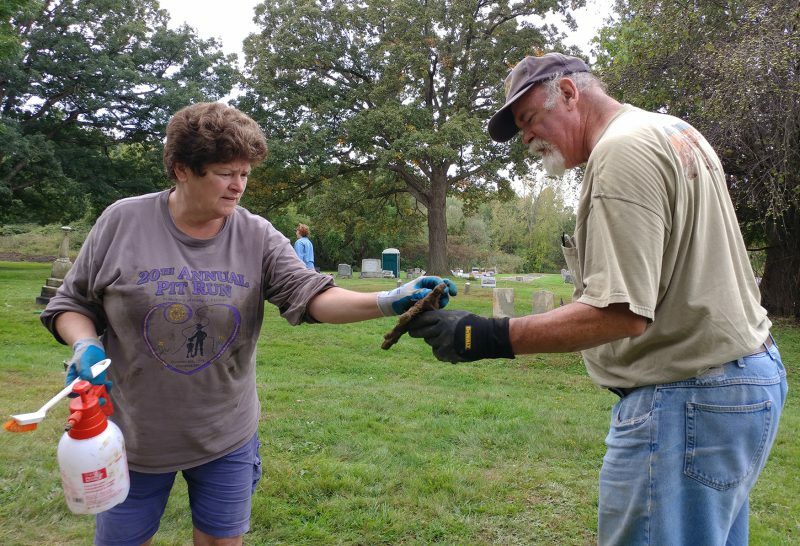 Times Union: “Volunteers help restore veterans’ gravesites“, October 5, 2018. 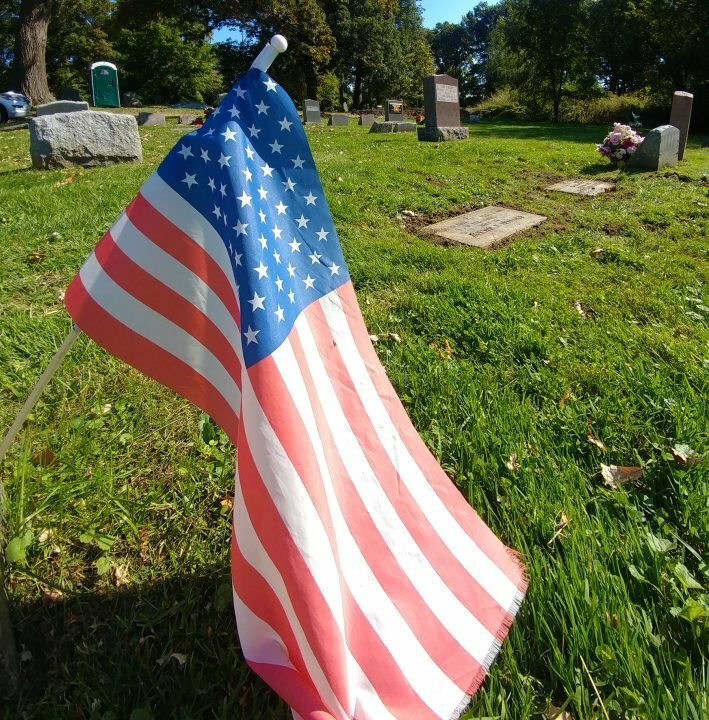 WNYT News Channel 13: “Volunteers clean up veterans’ gravestones at Watervliet cemetery” October 3, 2018. Why are there fallen grave markers and monuments in a cemetery? Cemetery monuments are exposed to heat, frost, pollutants and often are breeding grounds for lichen, mold and moss. The frost and thaw of spring and fall grounds can up-heave stones and foundations, especially with older set monuments. Black stains and biological growth on monuments obscure inscriptions and make an otherwise beautifully carved stone unsightly. Memorials are the property and responsibility of the lot holders as they are the owners of the memorials. 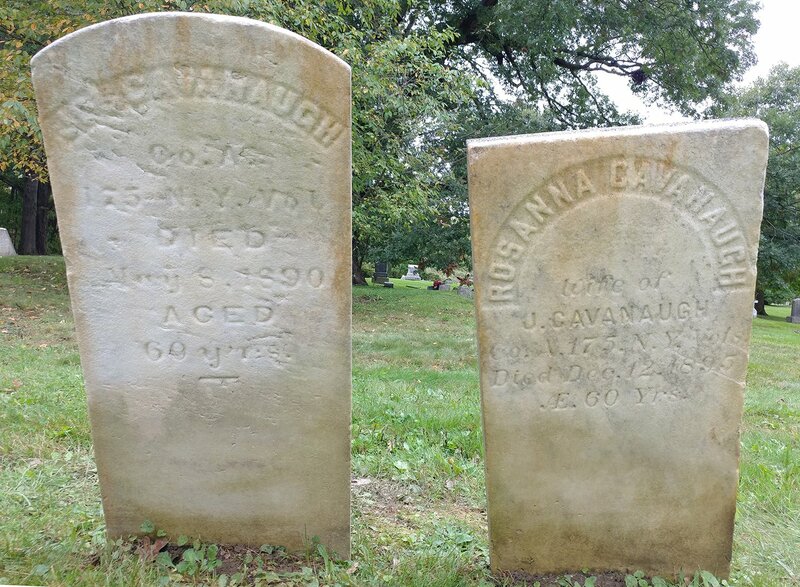 The Cemetery is unable to use perpetual care funds to clean, repair or re-set monuments. If you notice an issue with your monument, please do not attempt to push or move it on your own! Monuments generally weigh 180-220 lbs PER CUBIC FOOT! Recently, after a winter frost had adjusted a family’s monument setting a few inches, the family tried to adjust the monument on their own. This resulted in the collapse of the monument and injury. Please contact us so that we can assist or advise you on how to safely accomplish the task. For more project information, to volunteer, donate, or for advice on how to clean or restore your monument; please call our historian Kelly Grimaldi at 518-350-7679 or email [email protected]. Click here to download or print a donation form. Which DAR chapter is involved with this? Kelly Grimaldi who is managing this project will be in touch. Thank you for your interest! Can anyone volunteer for this project? we have family in that old section with that kind of stones. We have tried to get information and was told the diocesan couldn’t find it. I would like to know who to talk with to get information and make sure our family stones are not removed. thank you for any information we can get. I am interested in working on this project and have two civil war veterans stones in need of restoration and luckily I copied the information years ago before they got so bad you can’t barely make them out. My great grandfather William James Dugan was a captain in the NY Vol. and his brother I believe was Patrick and he lost a leg in the war. They are both buried near each other at the far side of the cemetery closes to road going to new houses that were built behind the cemetery. I also attempted to have flags placed on the veterans stones years ago but couldn’t find any vets organization willing to provide the flags. VFW in Watervliet and others were asked but none would provide the flags even if someone was willing to place them on the graves. I am interested in volunteering my time to help. I would like information on cleaning my family gravestones. Saw your ad/notice in the Evangelist.